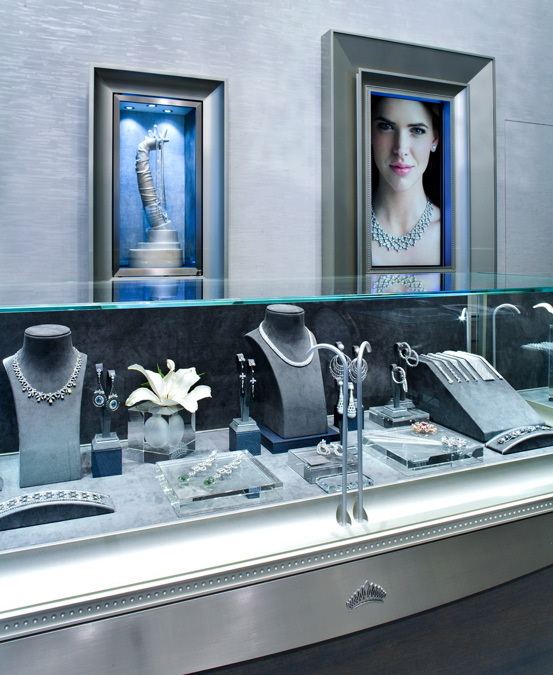 A system of in-case fiber optic goosenecks from Visual Lighting Technologies ensure that the diamonds on display scintillate with absolute brilliance. 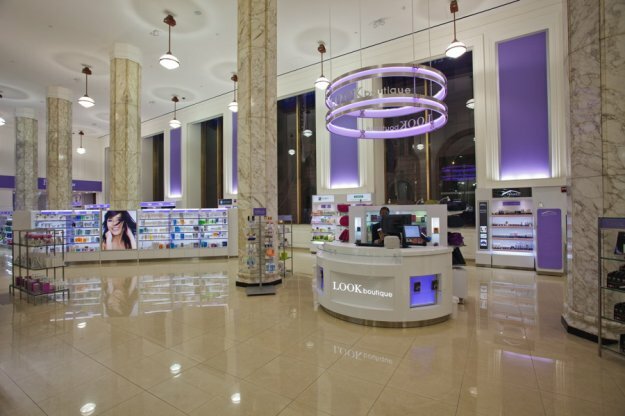 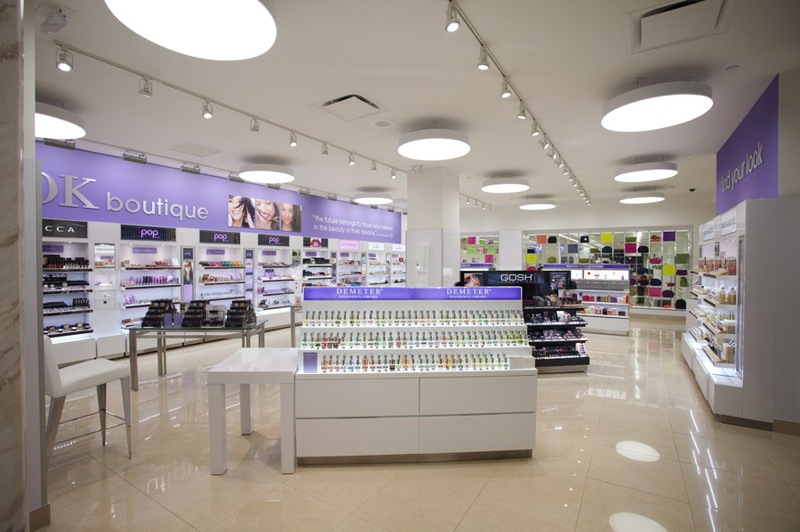 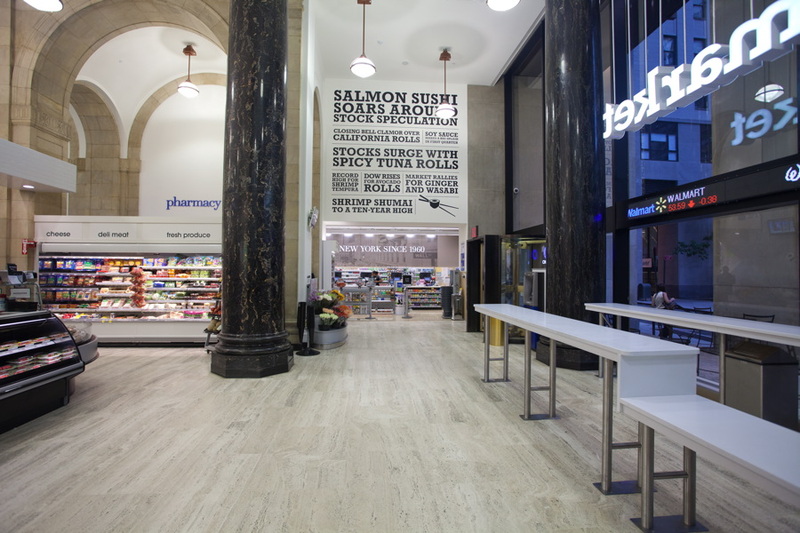 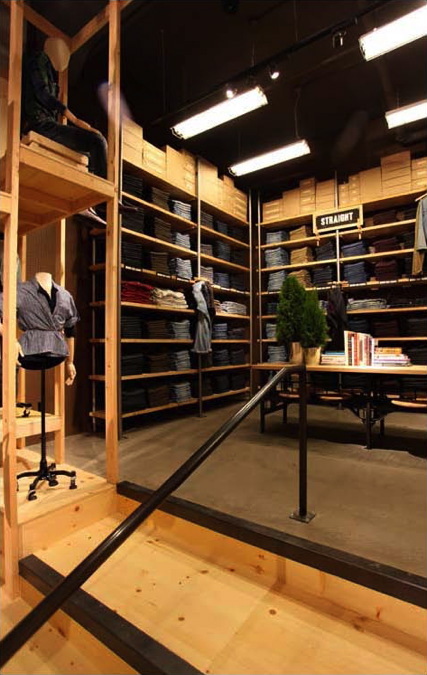 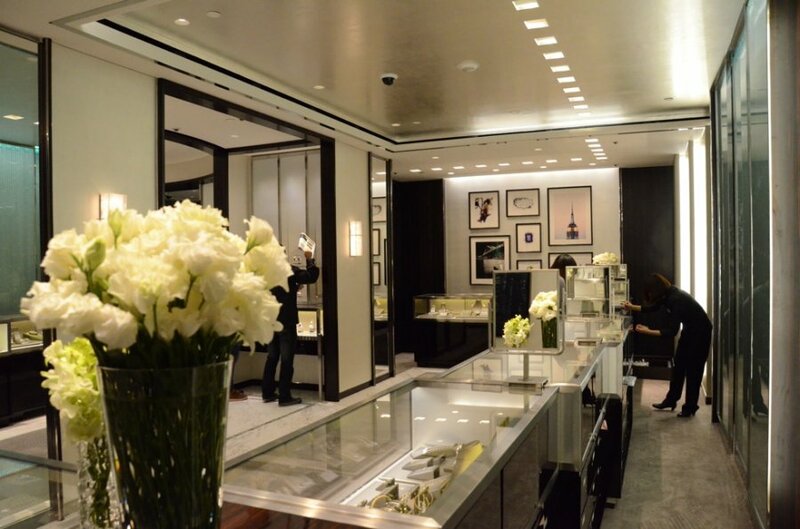 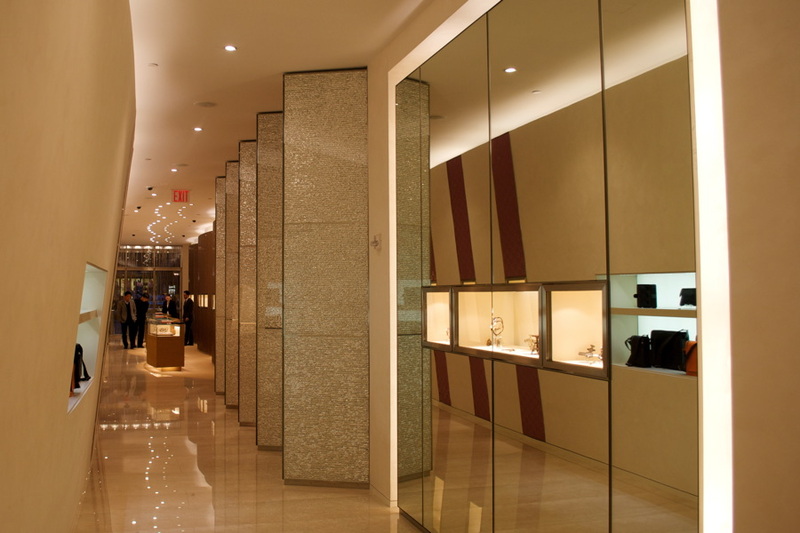 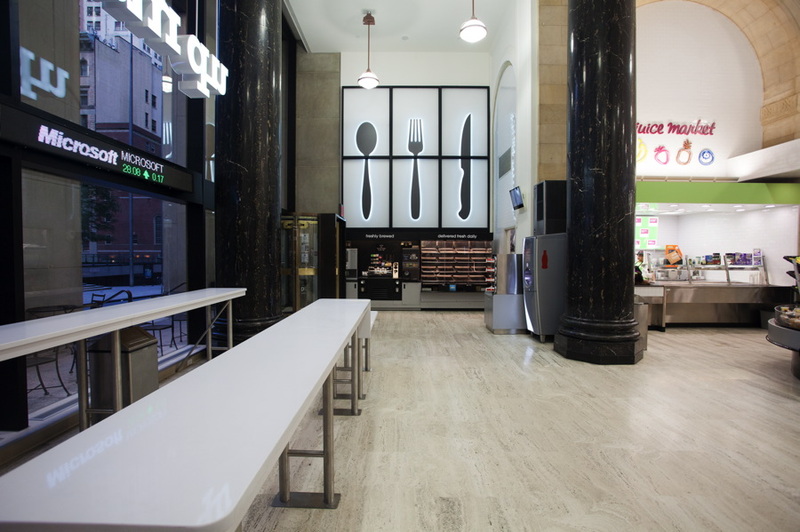 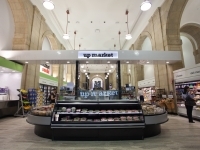 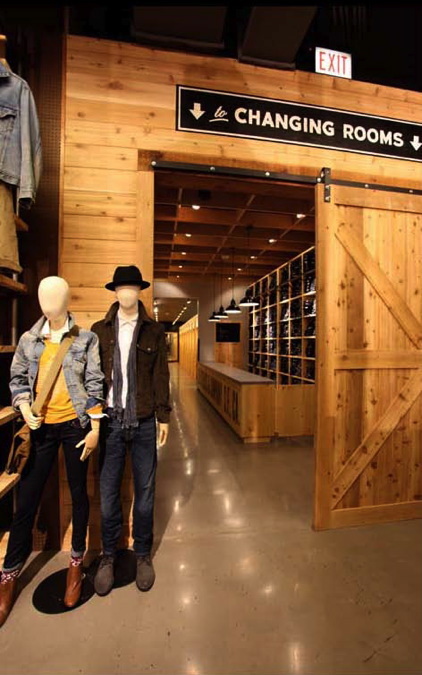 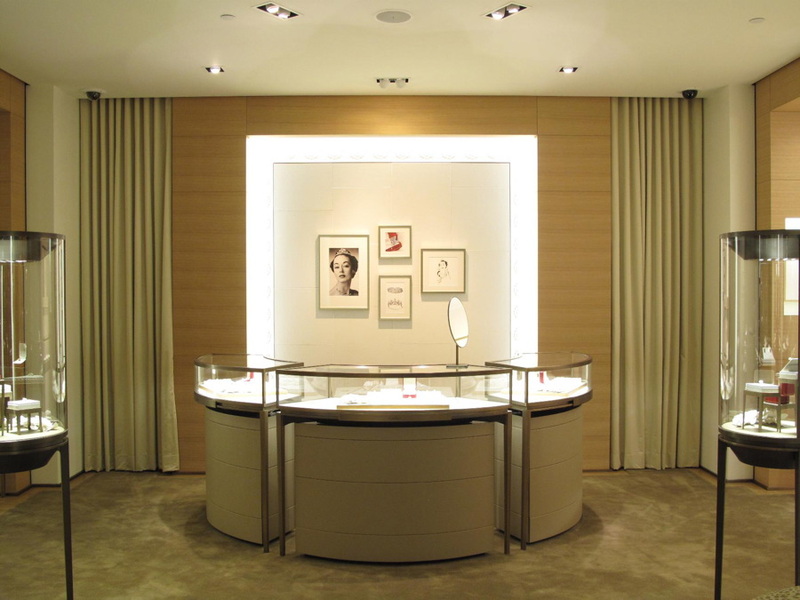 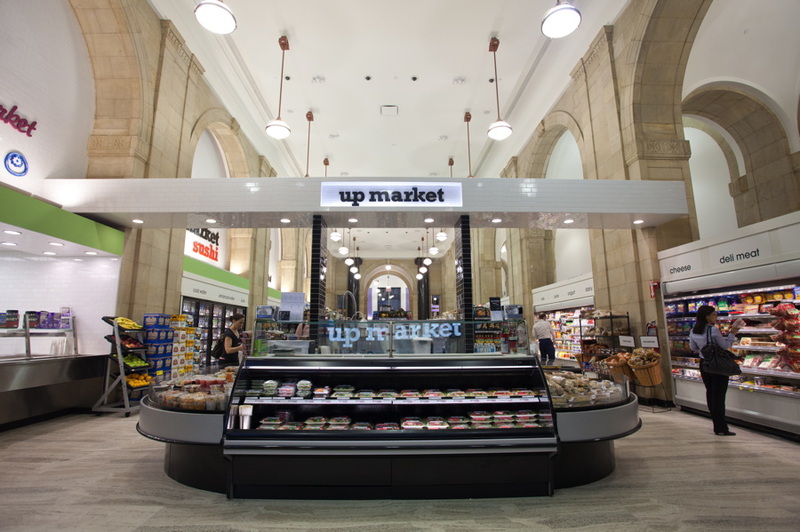 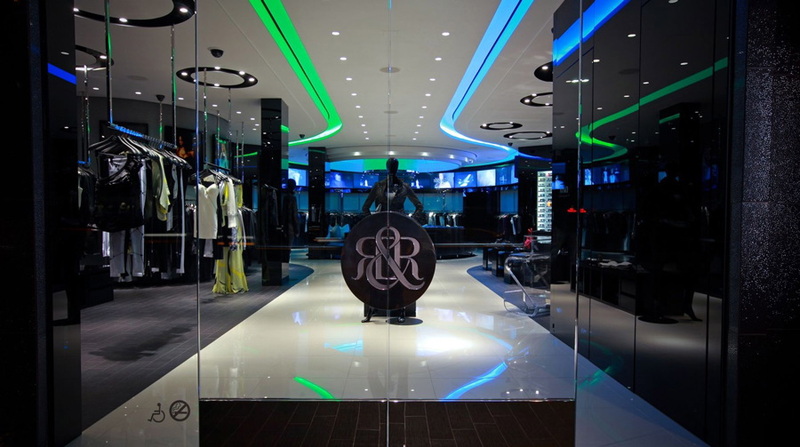 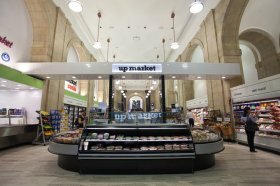 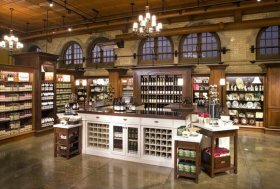 RSA metal halide downlights keep the sales floor bright and offer a low maintenance, energy efficient lighting solution for the space’s vaulted 18-foot ceiling. 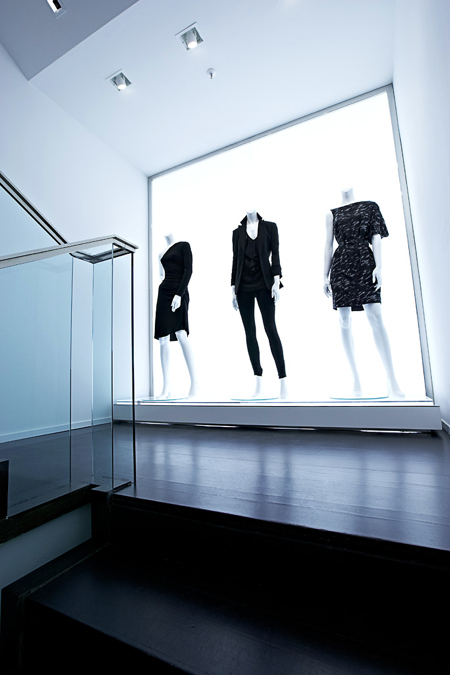 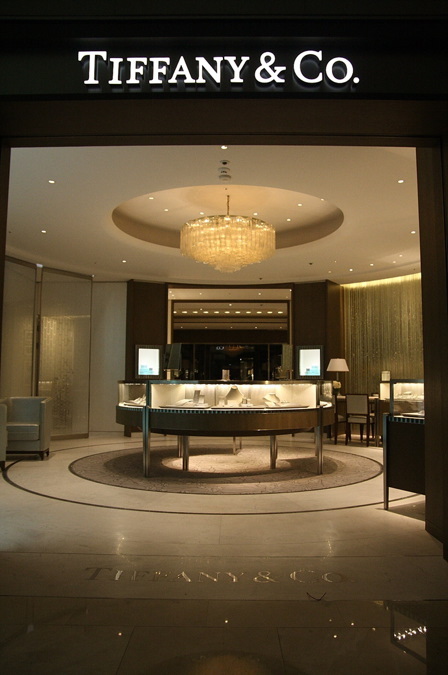 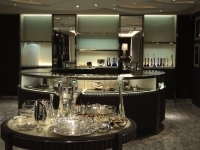 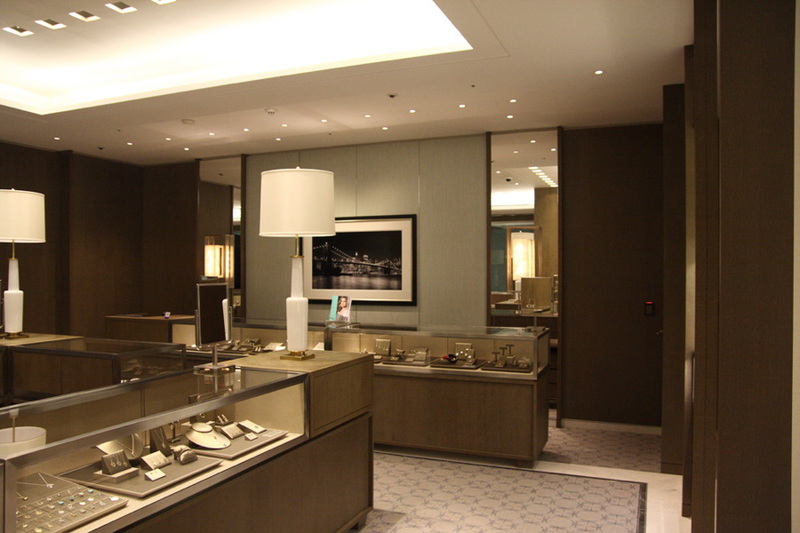 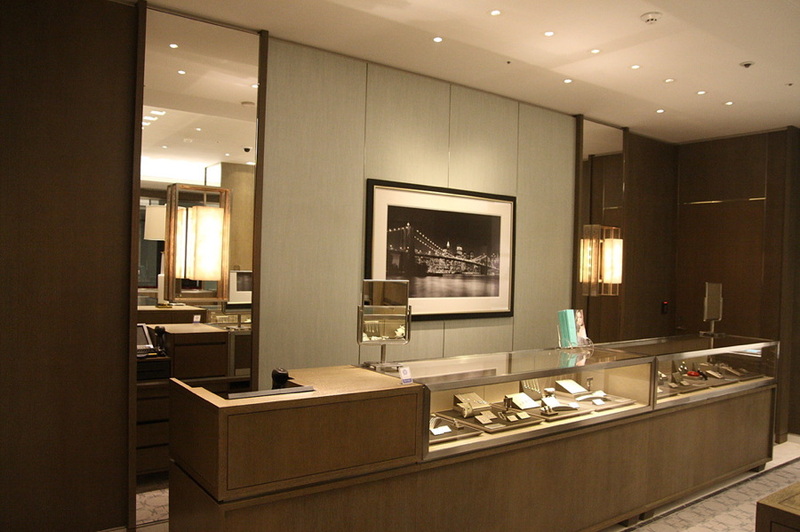 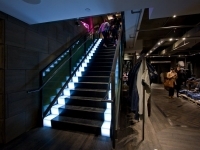 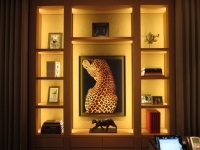 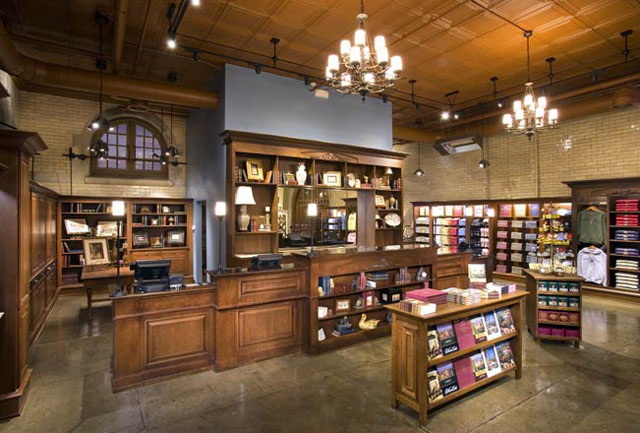 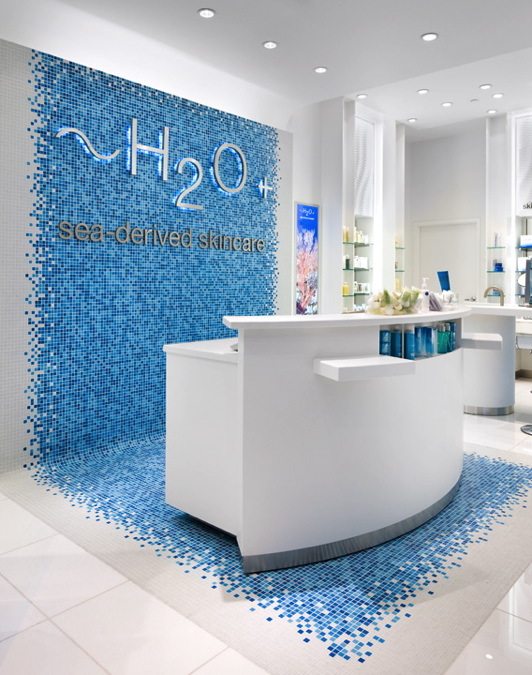 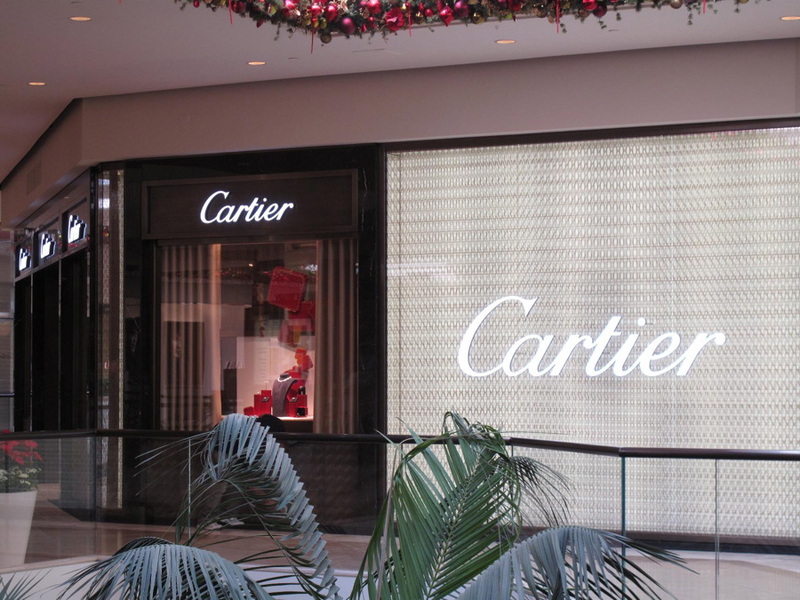 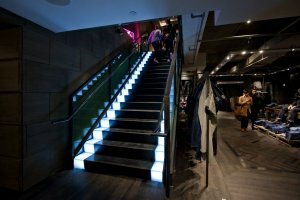 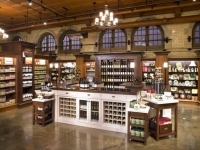 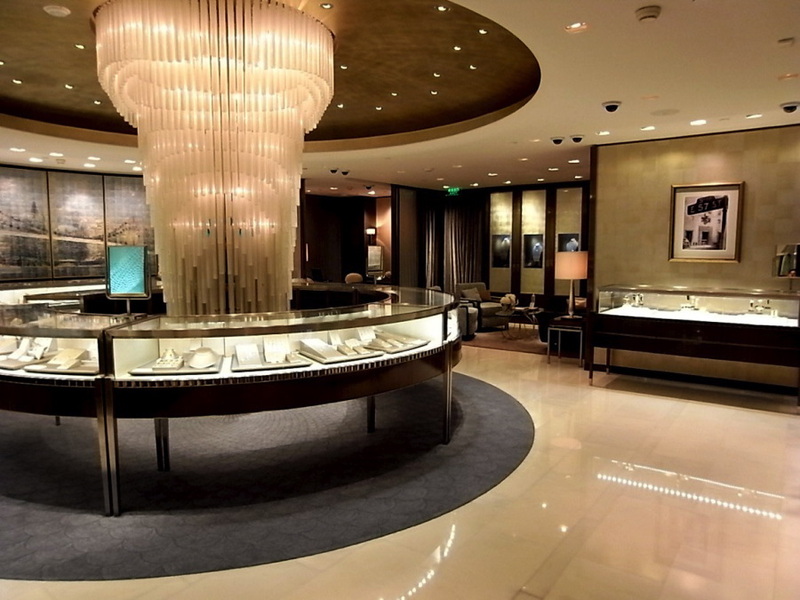 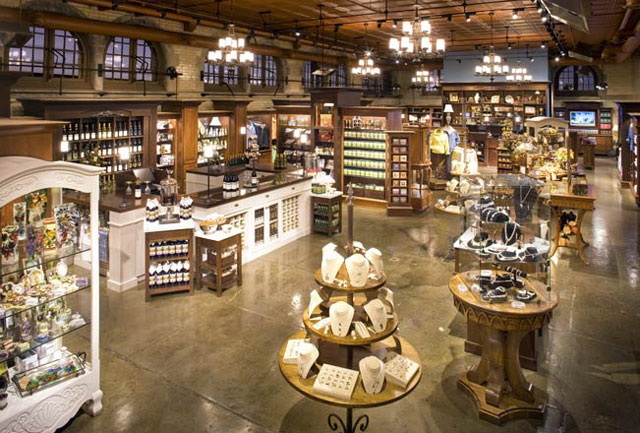 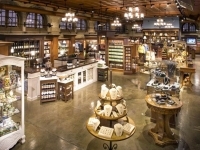 LED puck lights in a cool kelvin temperature show off the perimeter merchandise in their best light, and a private sales area is lit – not coincidentally – with Litelab’s Jewelers’ series. 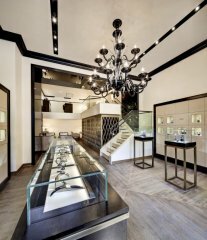 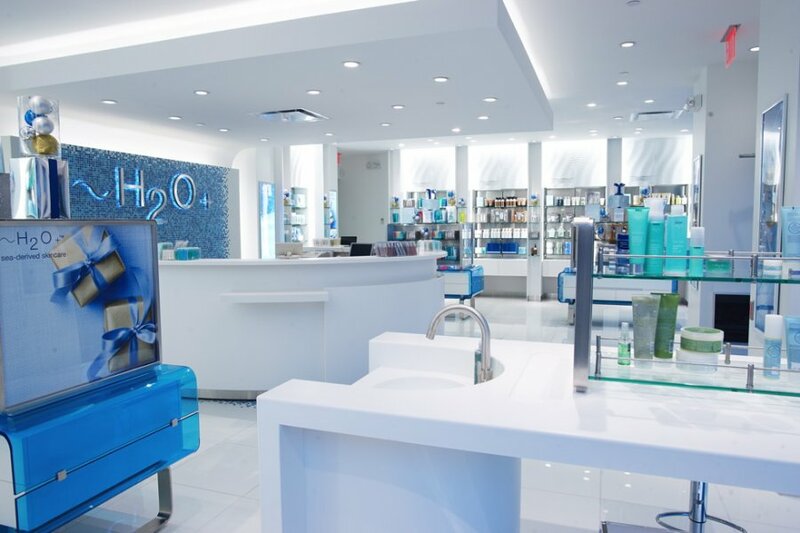 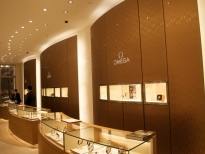 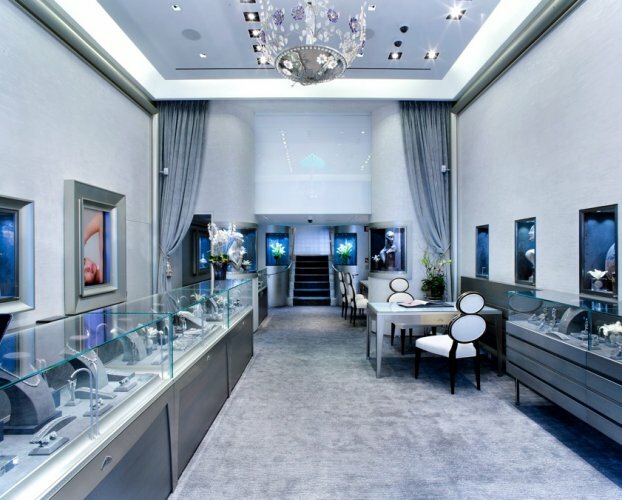 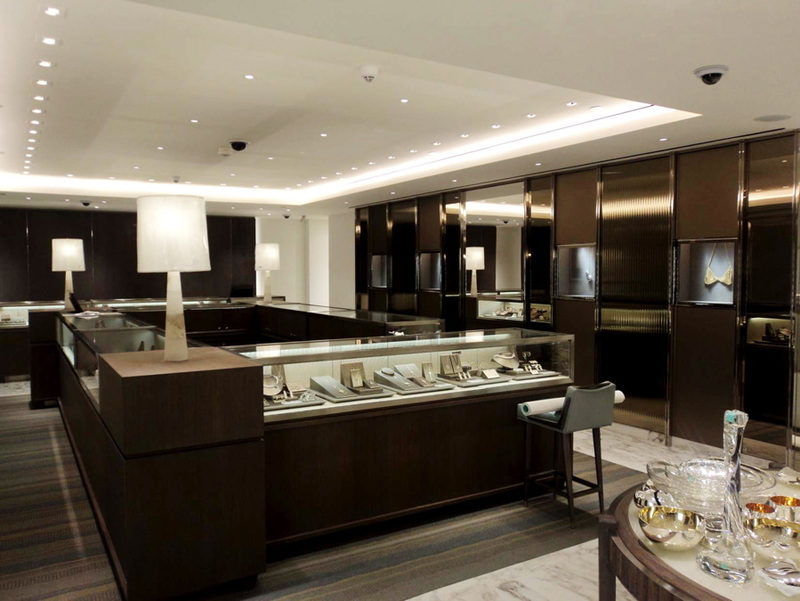 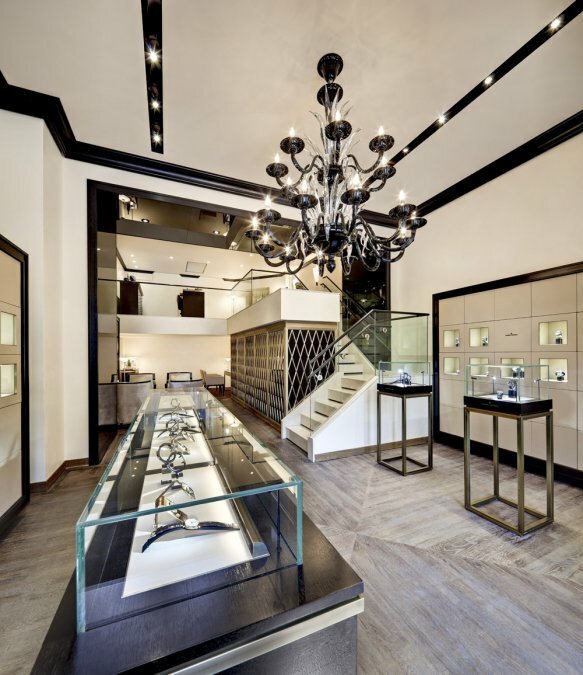 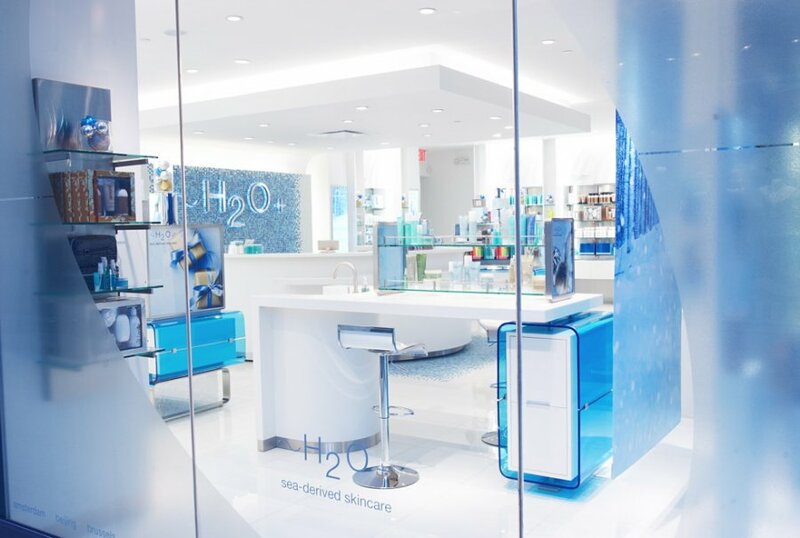 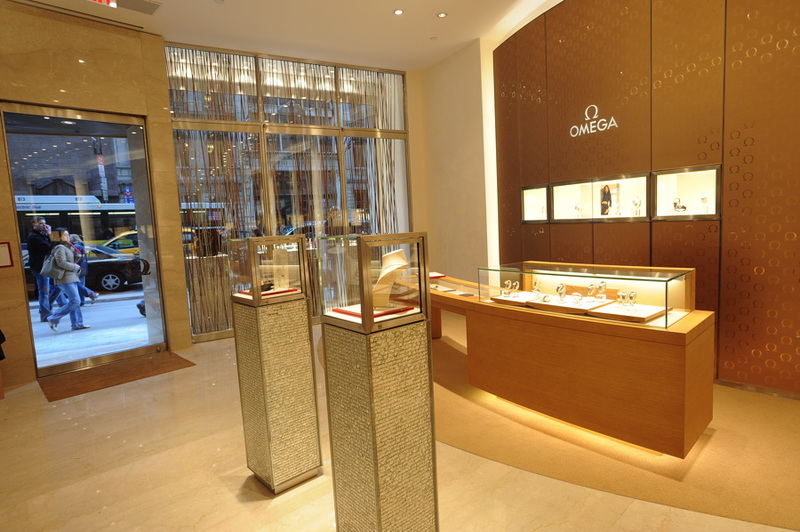 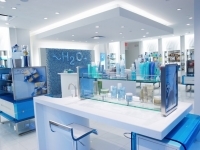 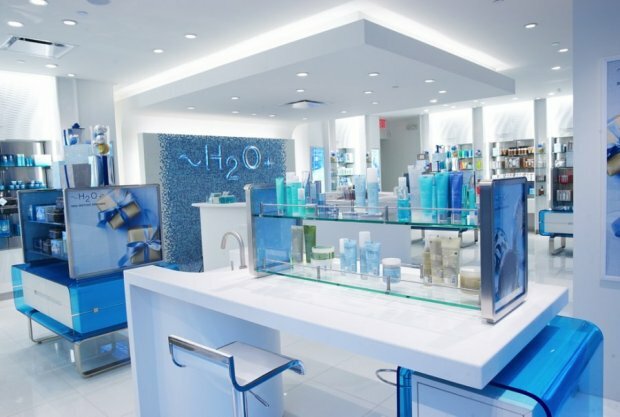 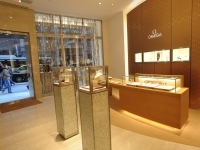 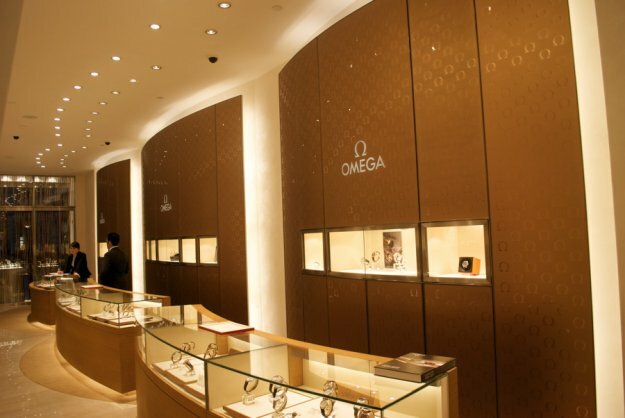 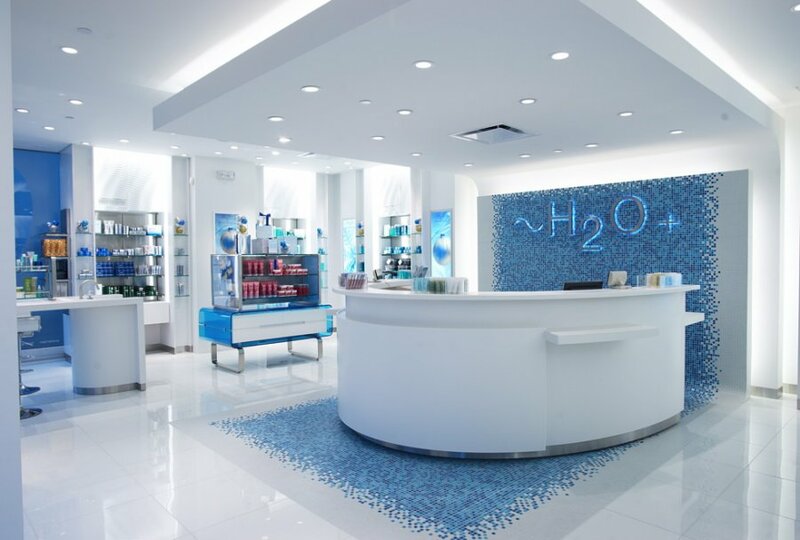 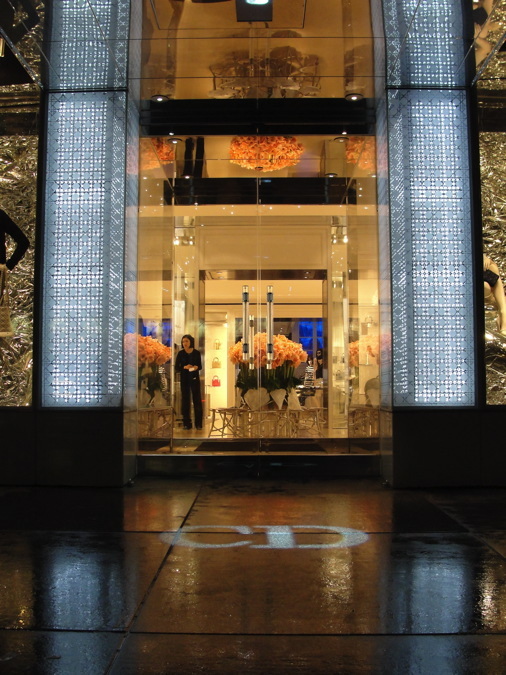 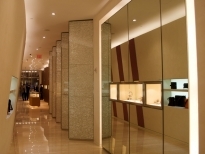 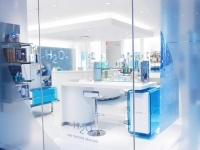 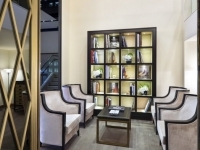 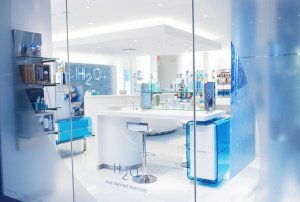 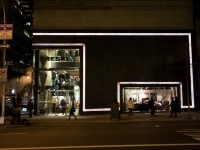 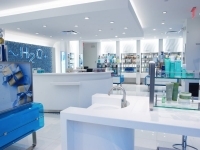 Omega Watches wanted to ensure that their visions for the lighting of their new 5th Avenue boutique would not only be realized in terms of performance and aesthetics, but also meet local energy codes and product safety/listing requirements. 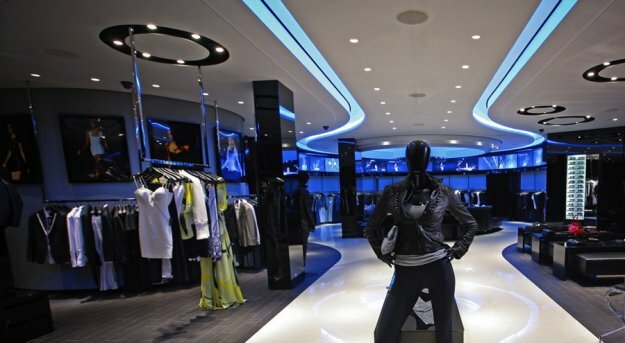 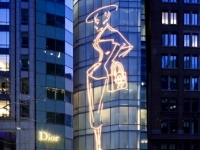 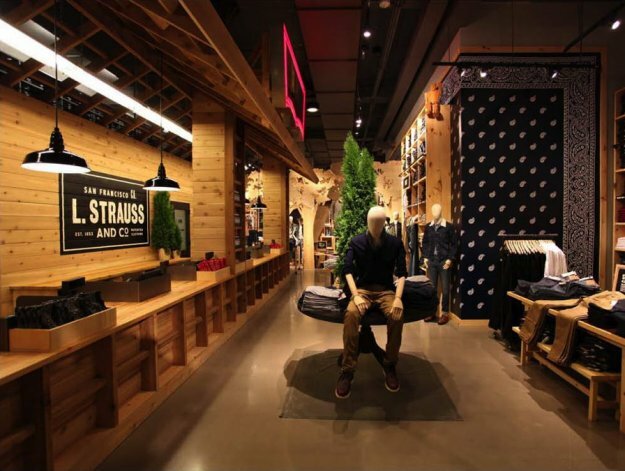 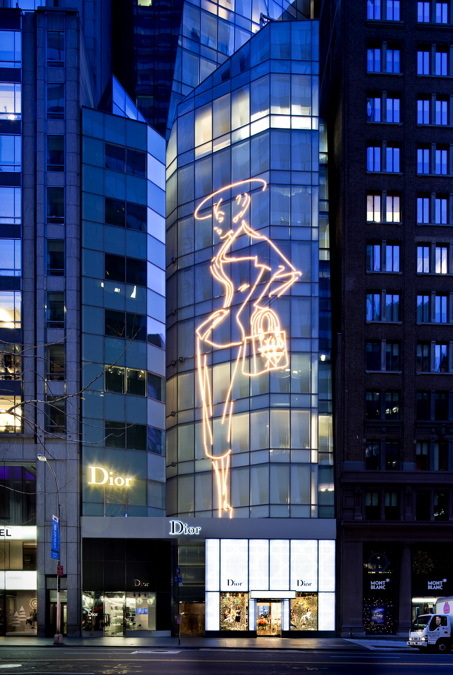 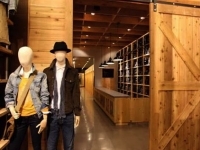 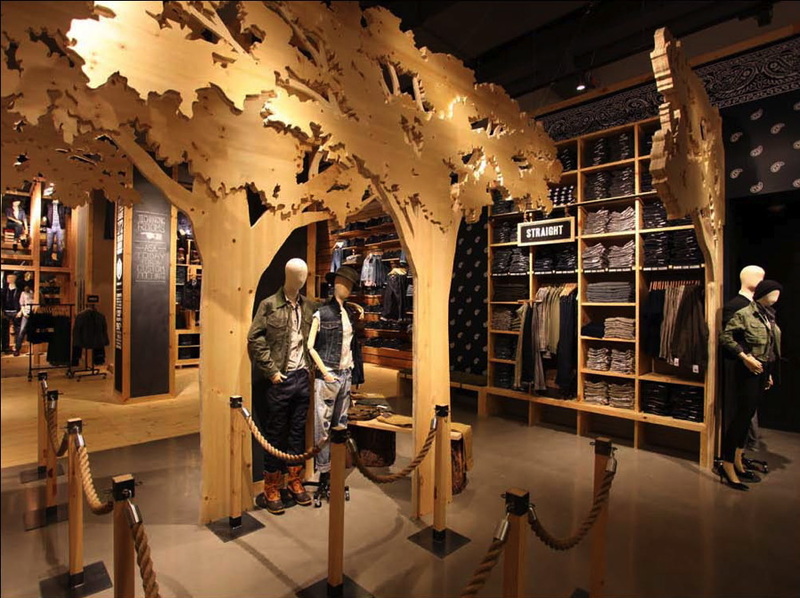 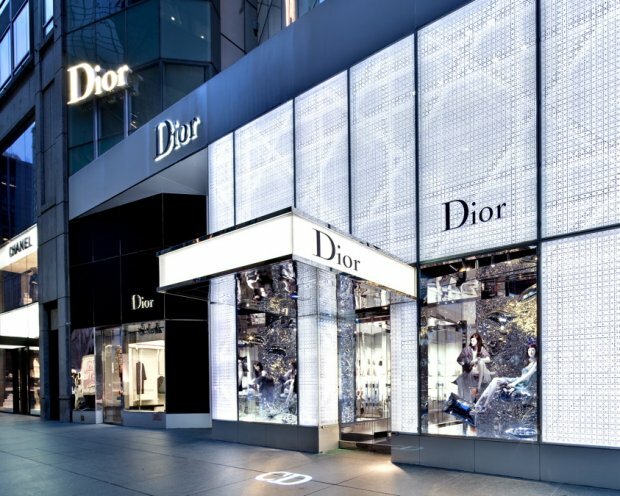 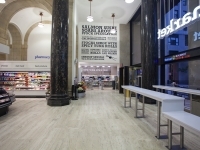 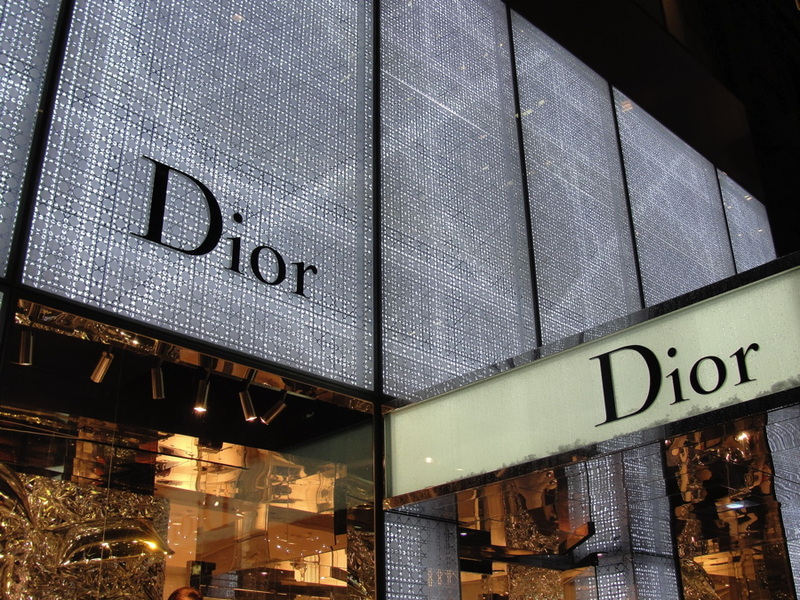 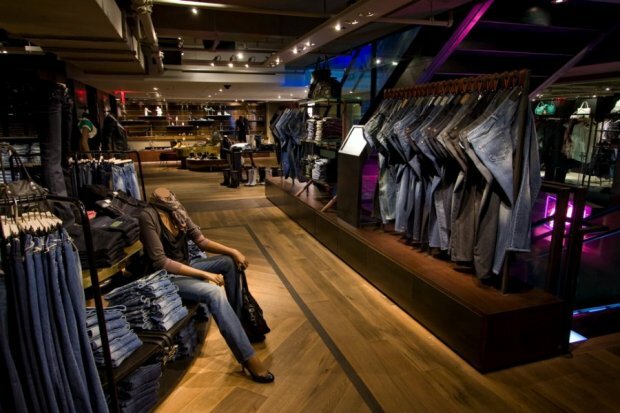 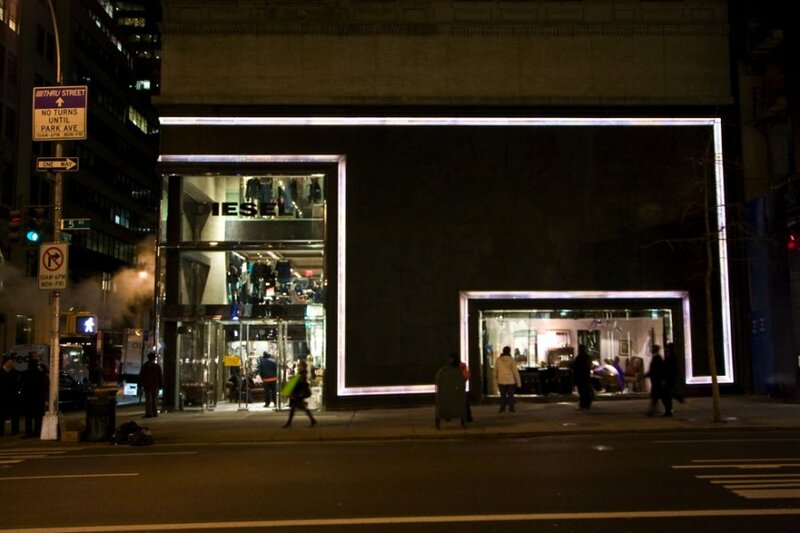 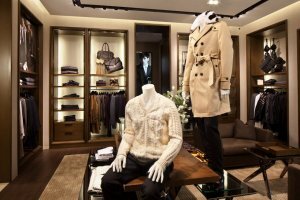 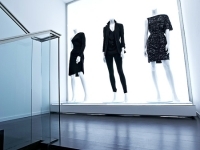 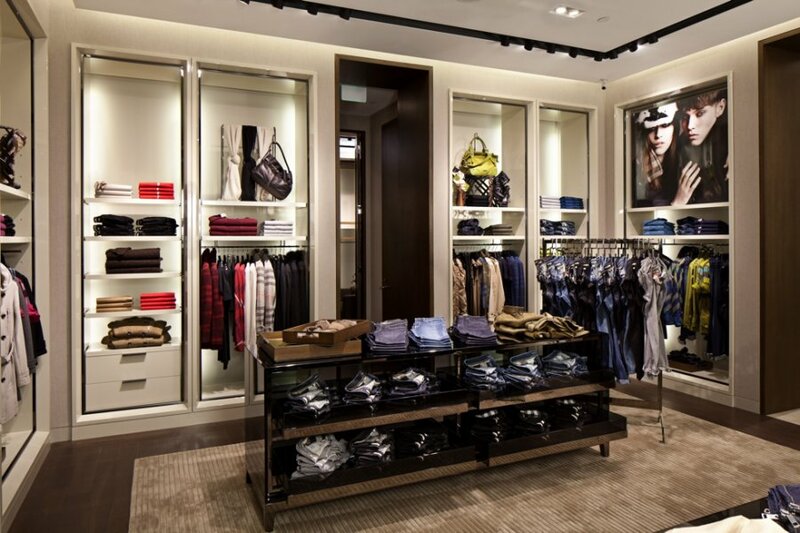 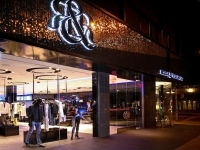 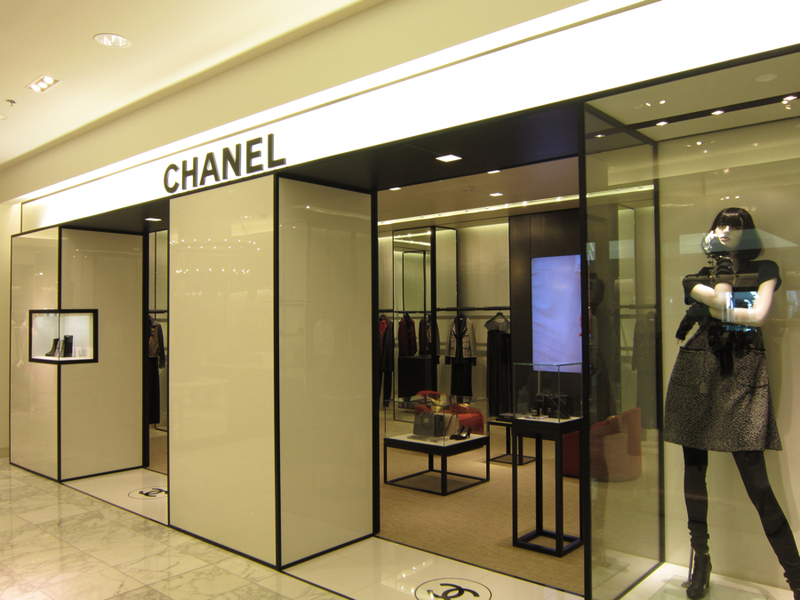 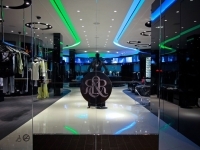 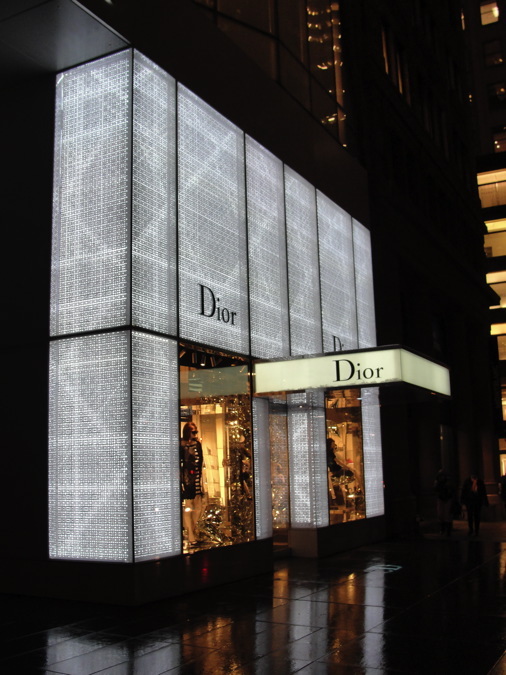 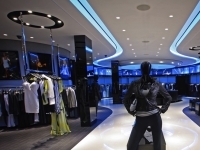 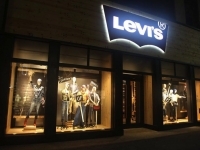 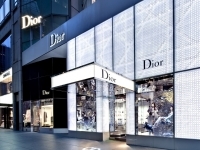 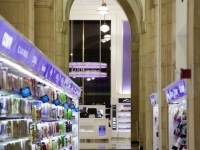 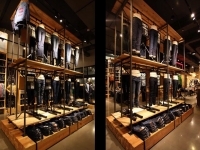 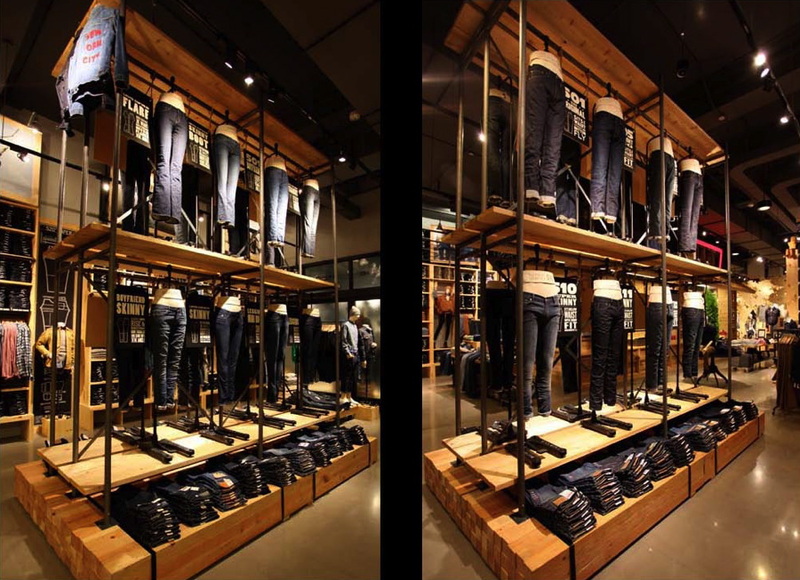 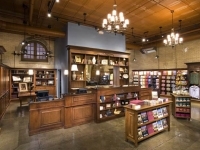 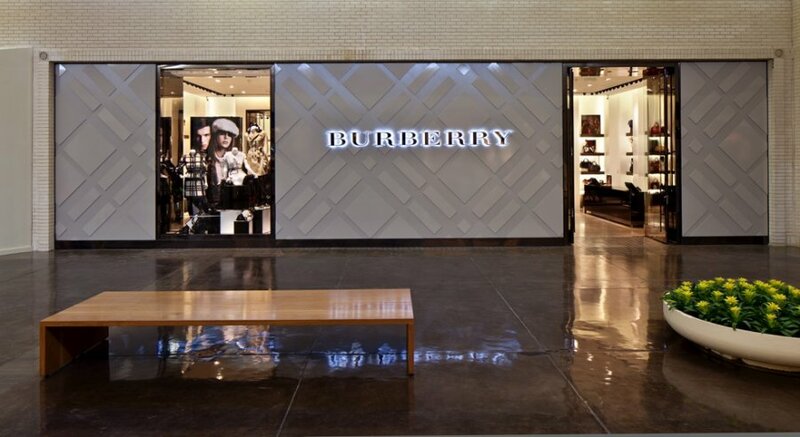 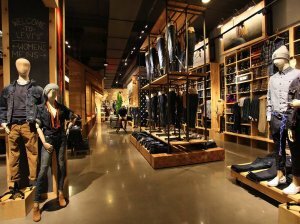 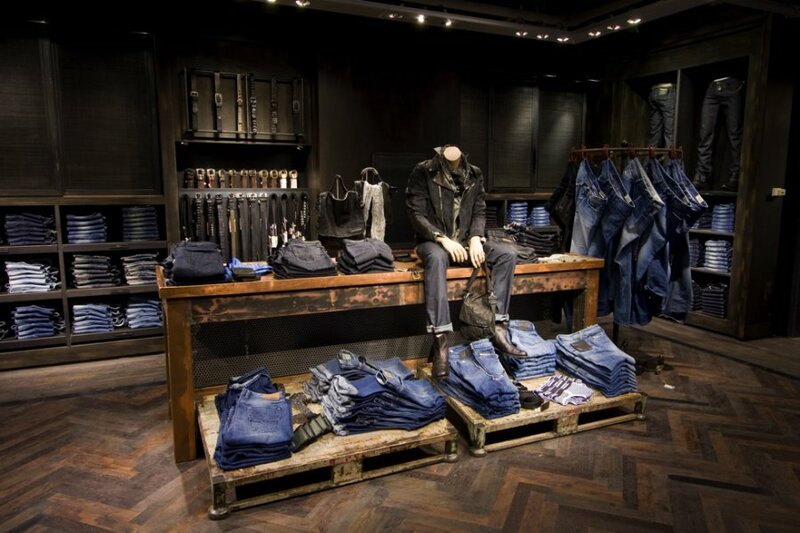 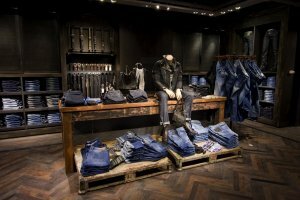 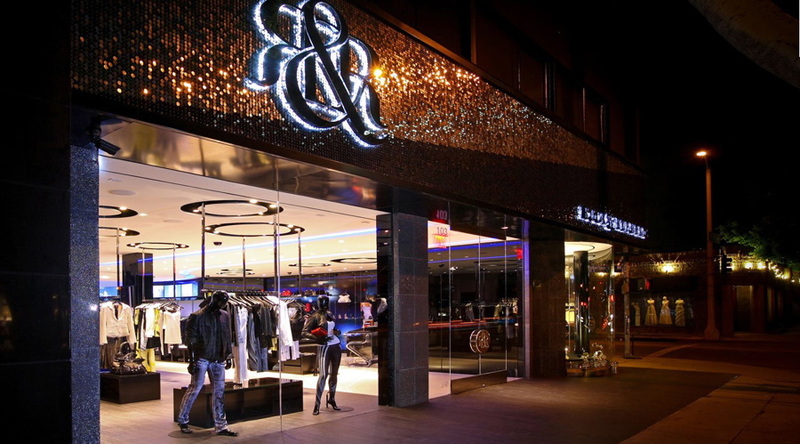 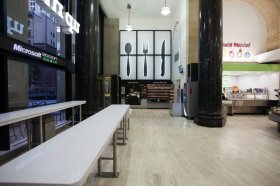 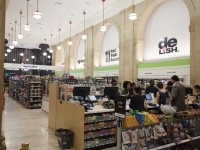 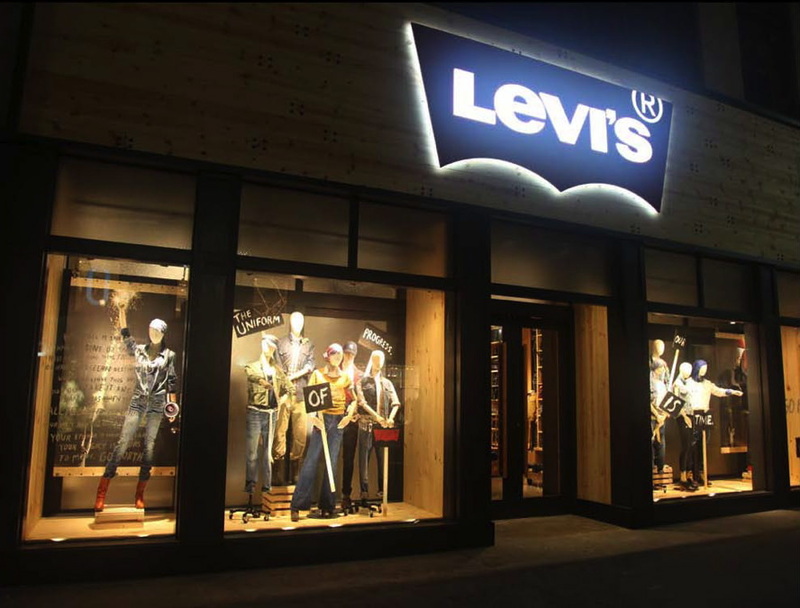 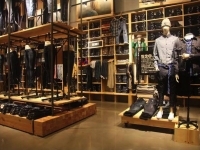 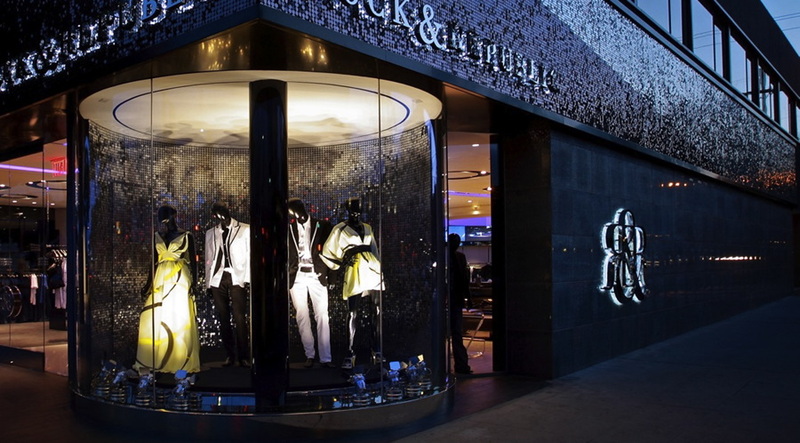 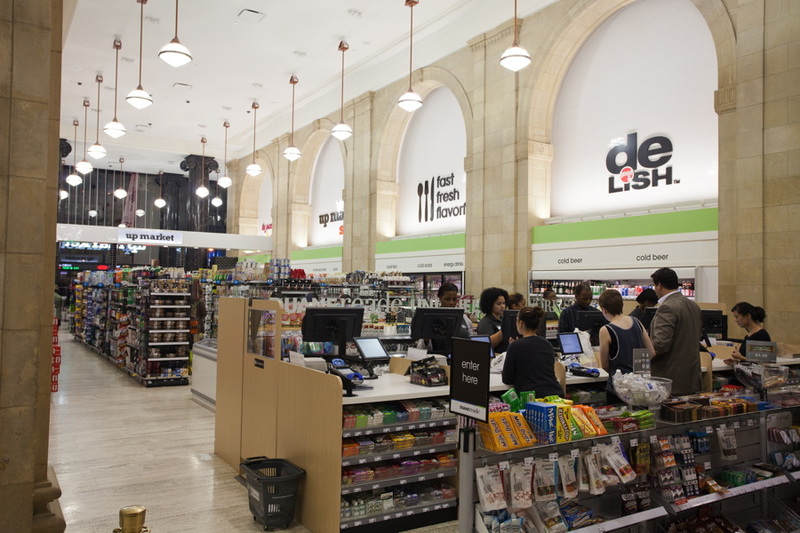 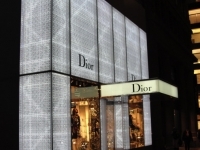 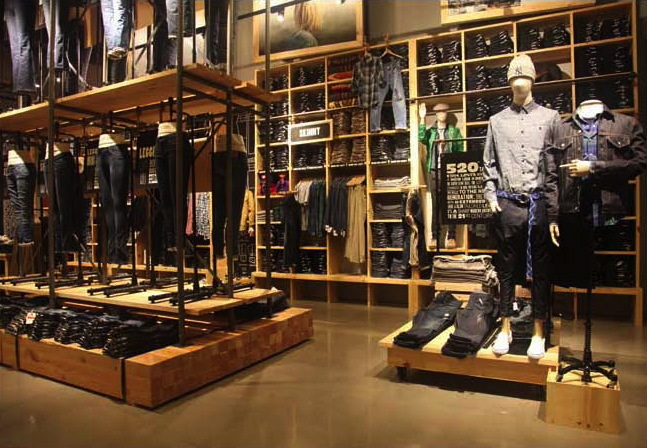 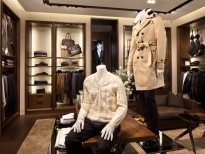 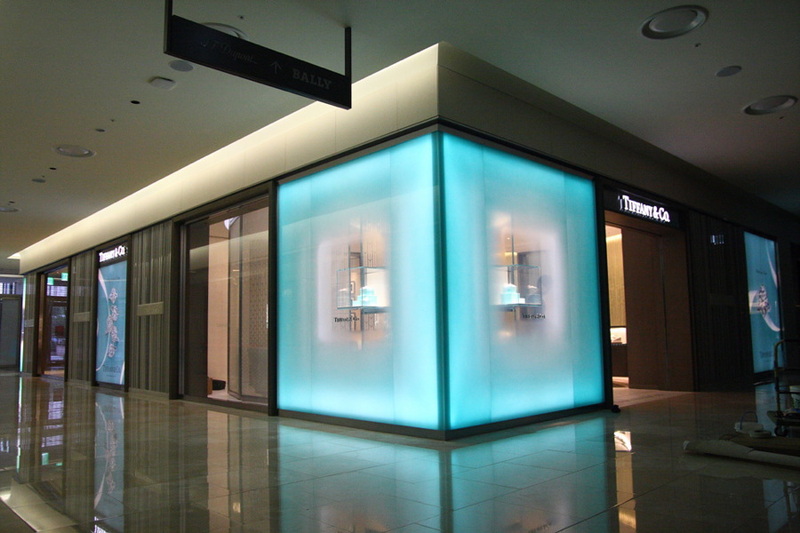 The store design team relied on my expertise for photometric and energy studies, validation of design concept and intent, and cross-over of international lighting specifications. 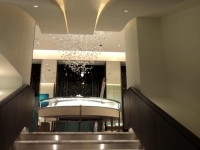 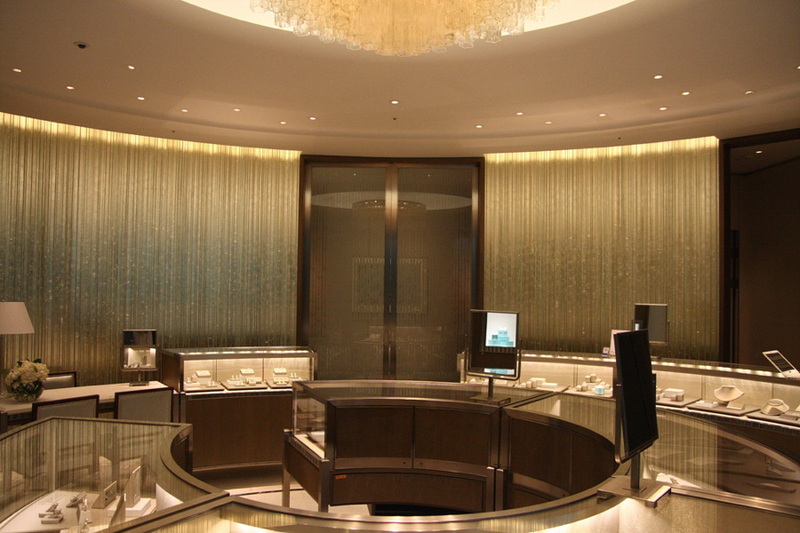 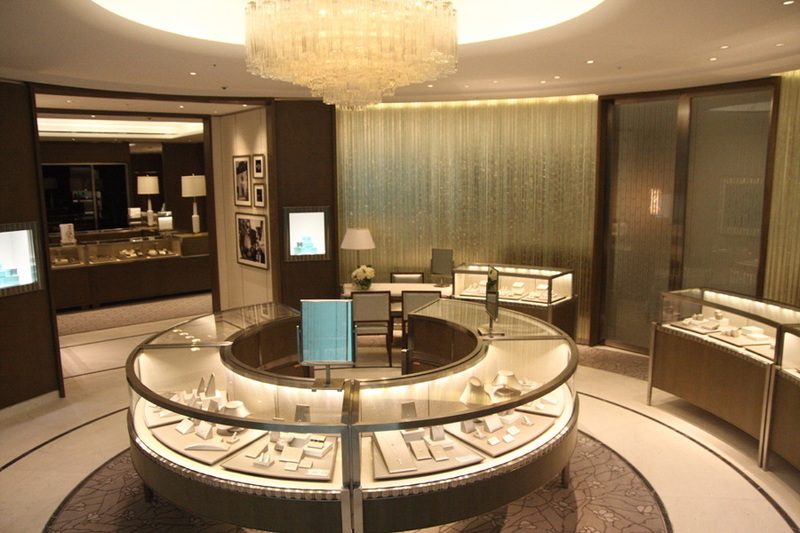 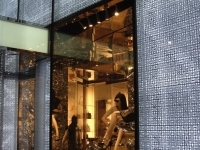 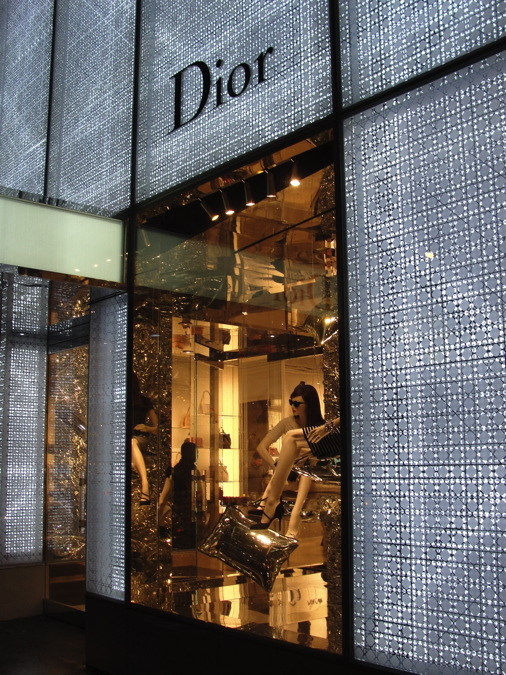 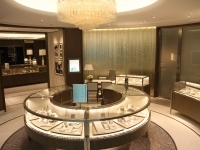 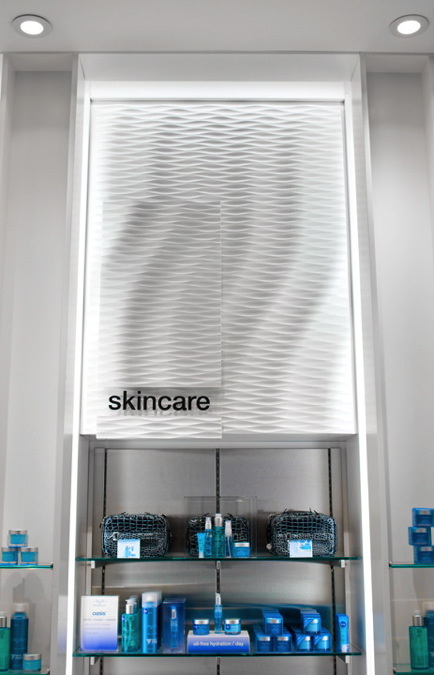 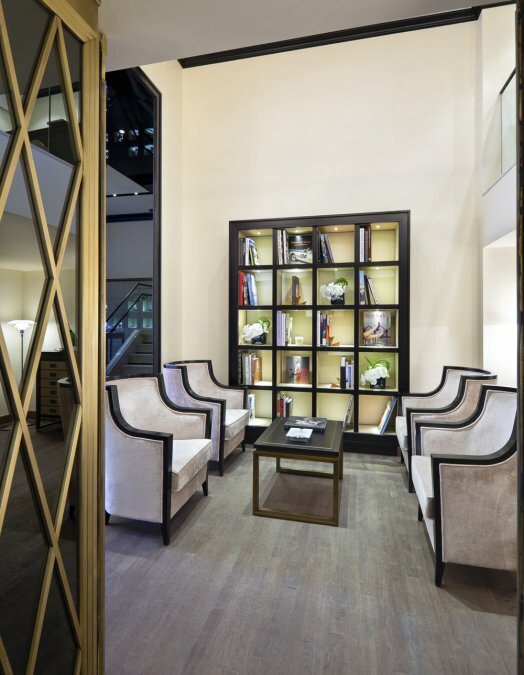 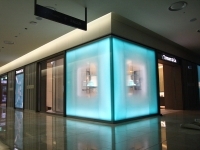 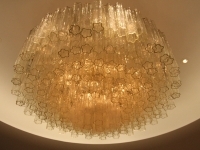 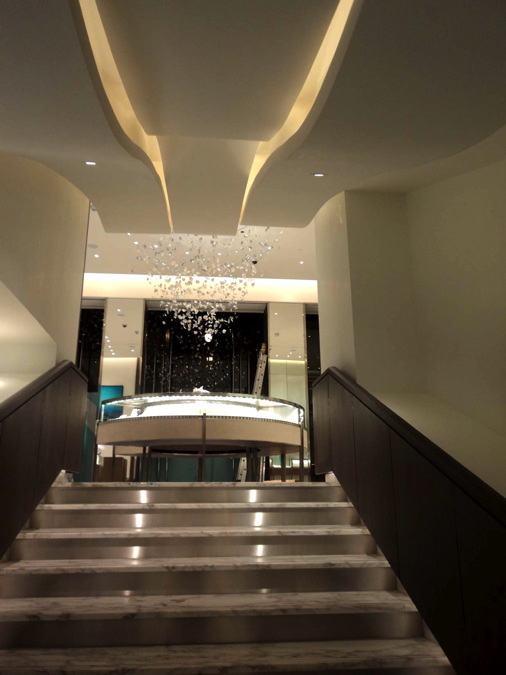 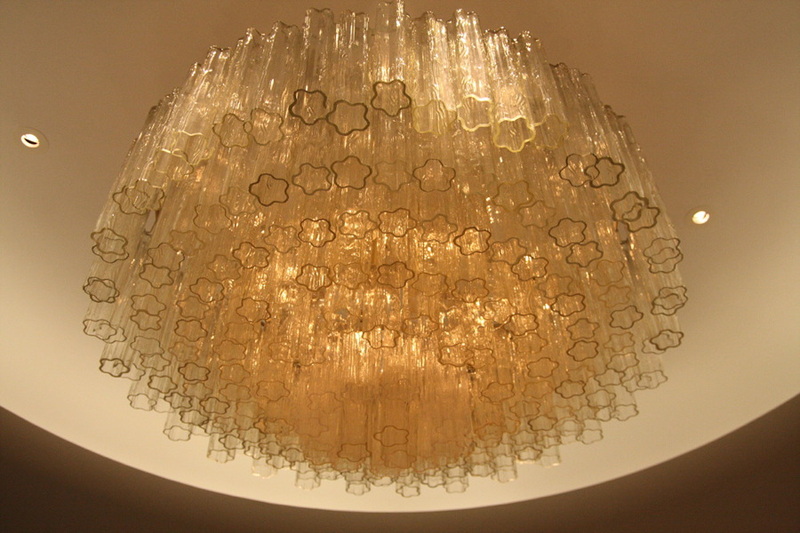 Tiffany’s Barcelona store, located in the Mandarin Oriental hotel, features an undulating ribbon ceiling, internally illuminated with warm, soft linear LED lighting. 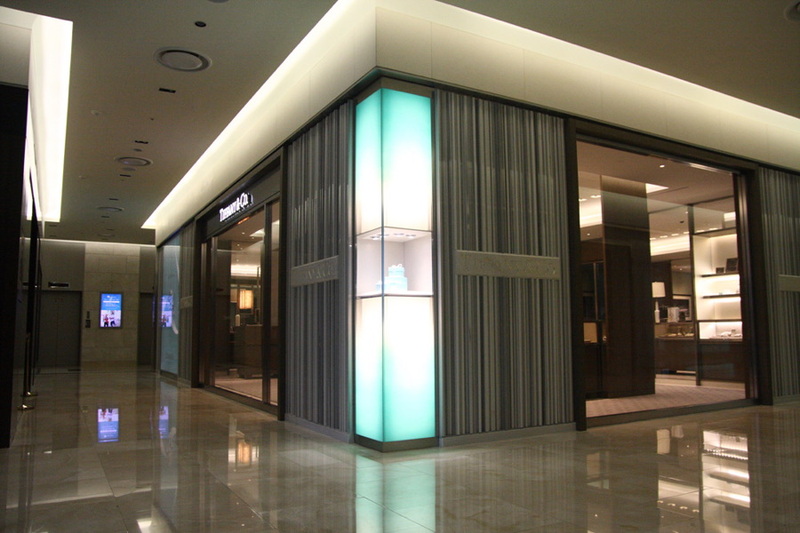 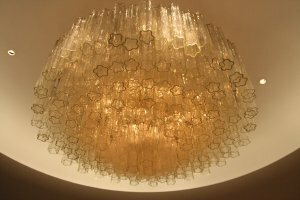 The ribbons which wrap along the ceiling and then fold down the back feature wall also contain downlighting to accent the product displays. 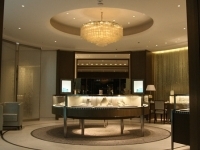 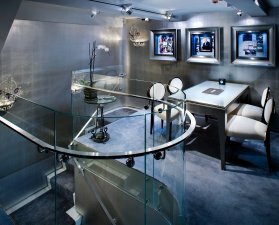 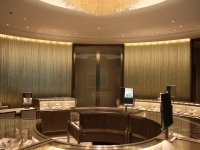 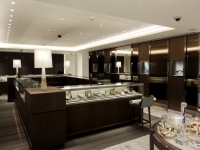 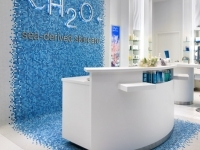 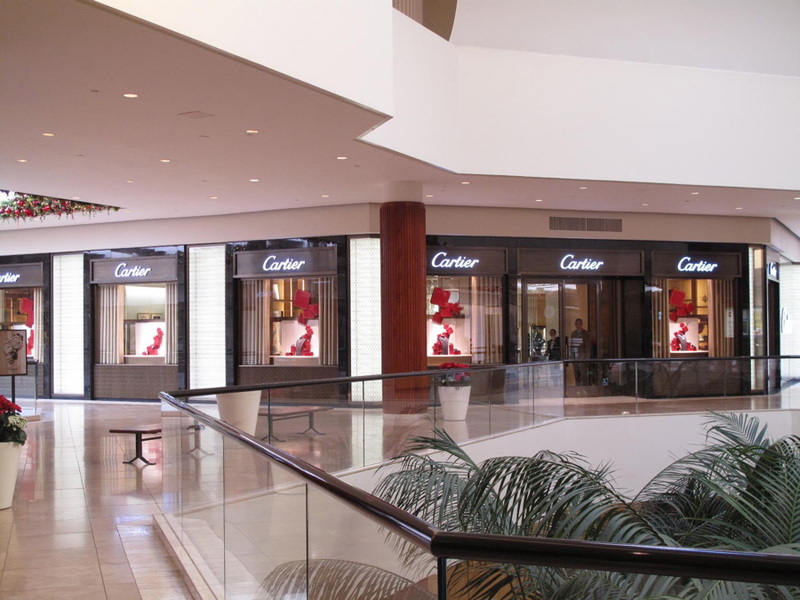 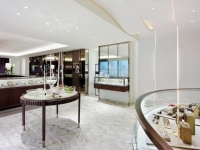 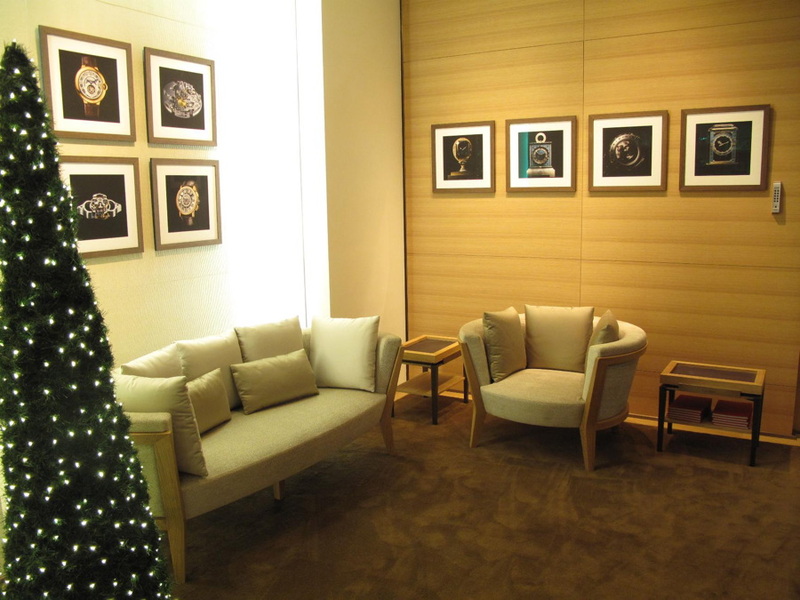 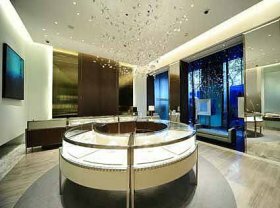 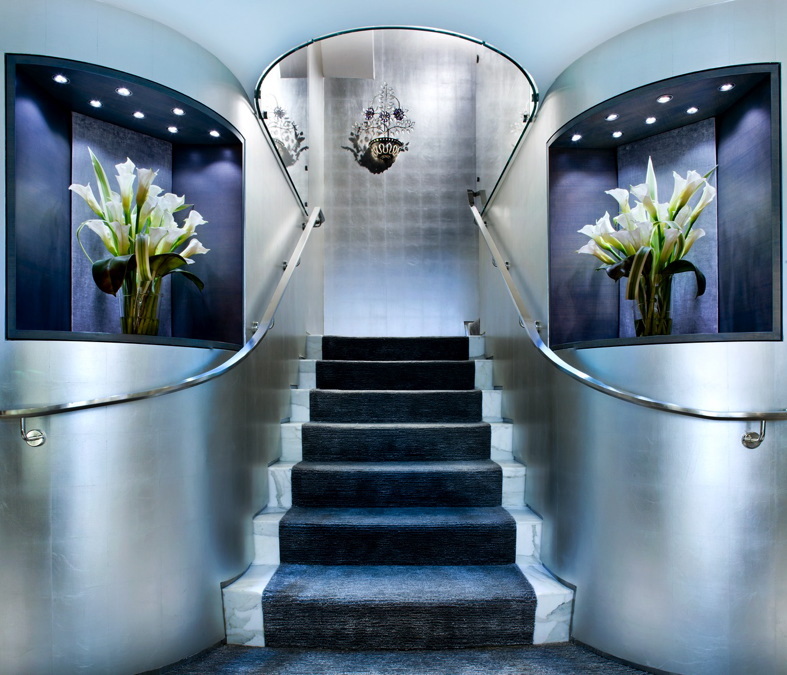 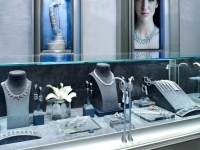 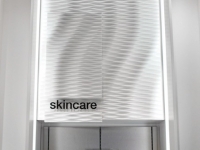 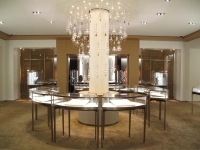 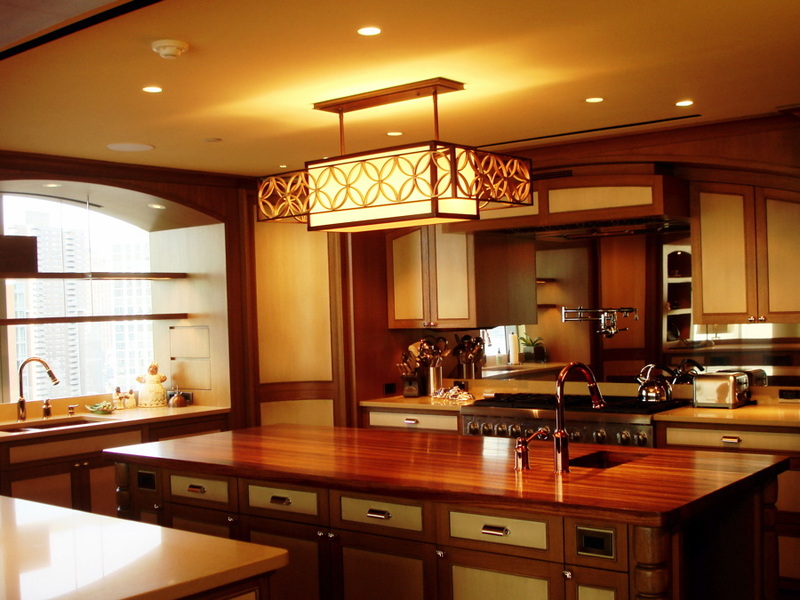 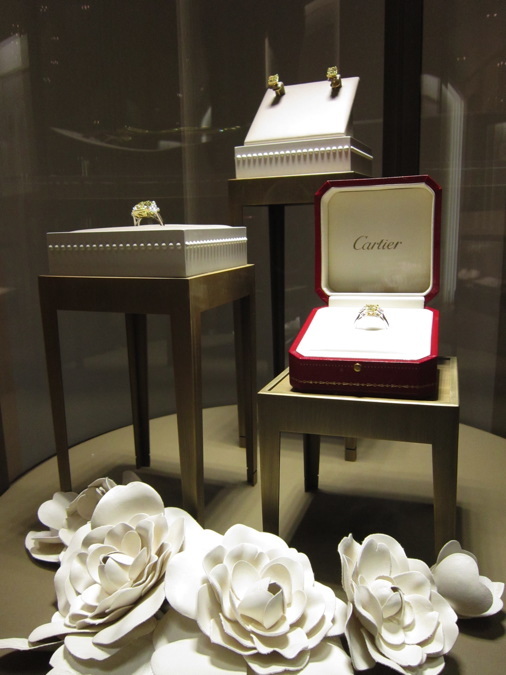 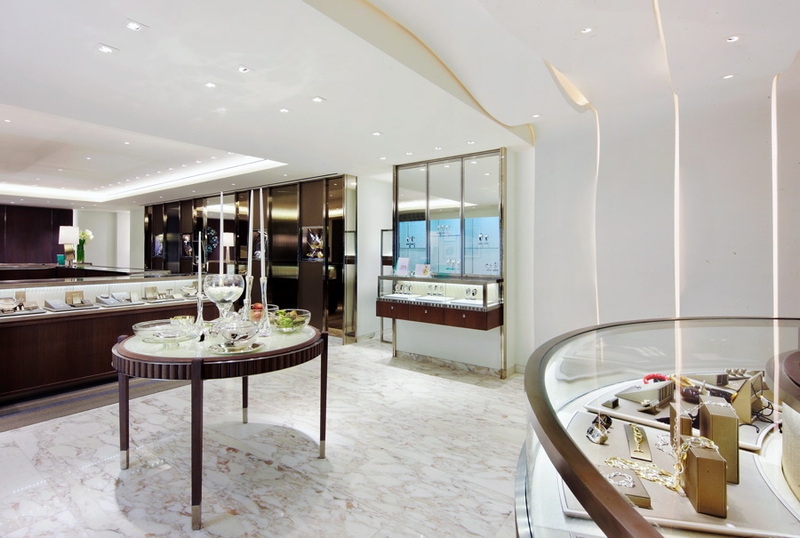 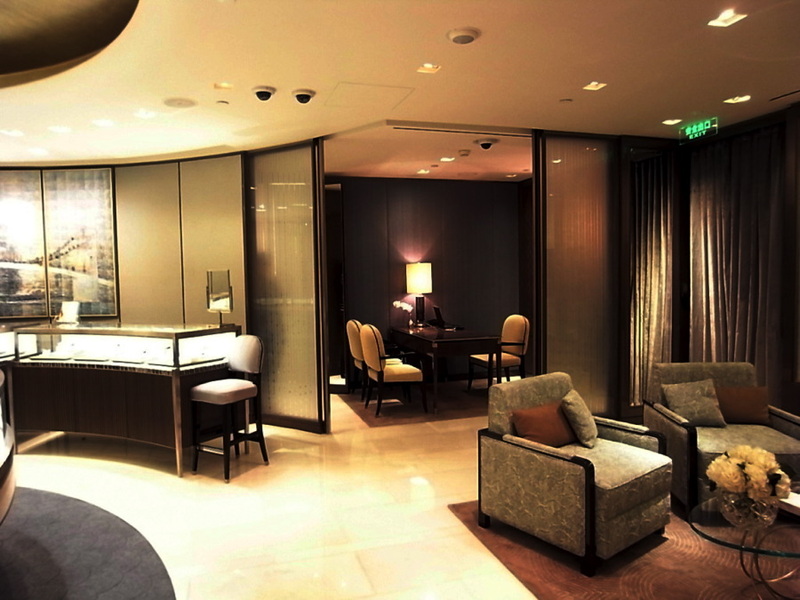 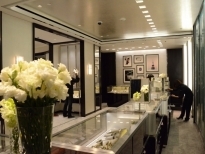 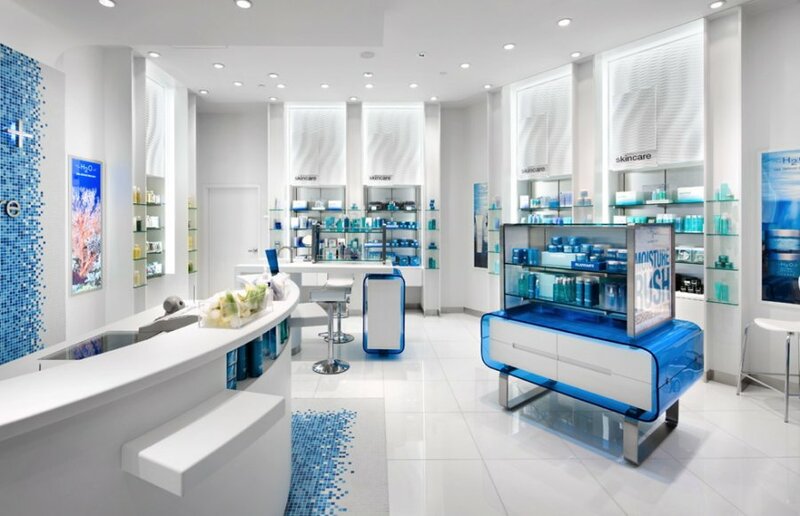 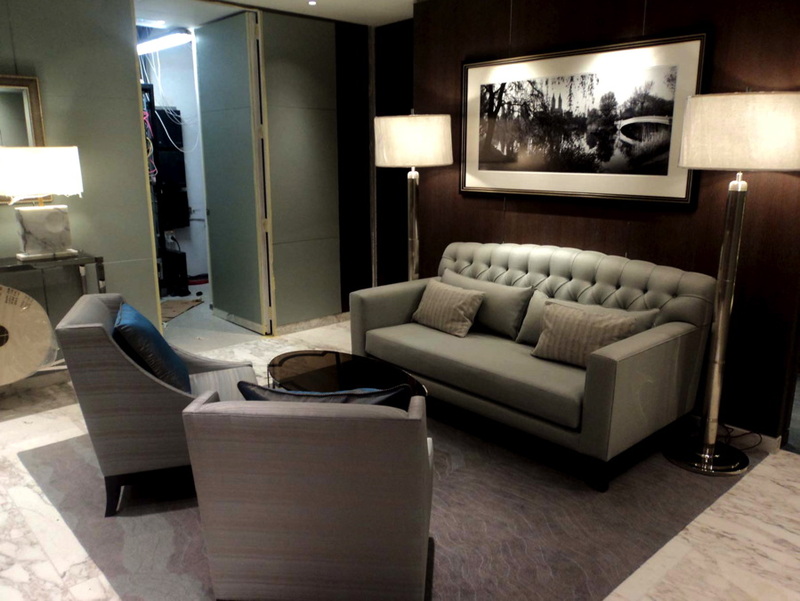 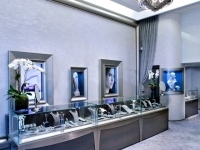 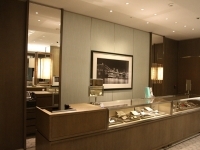 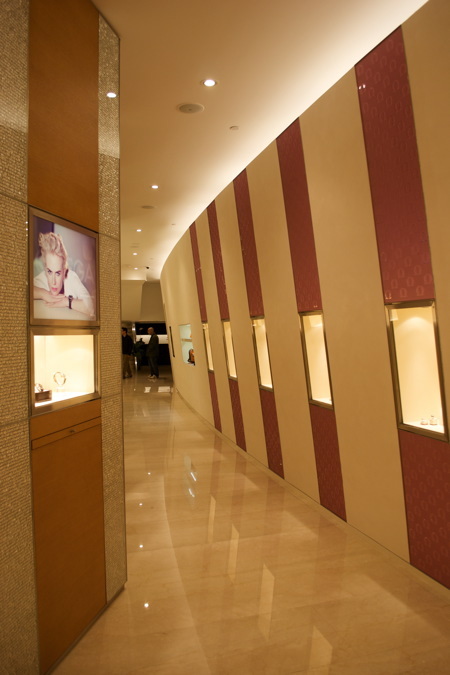 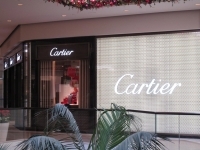 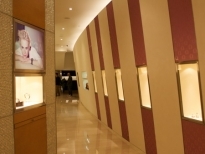 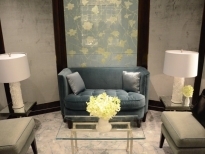 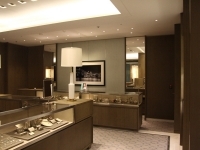 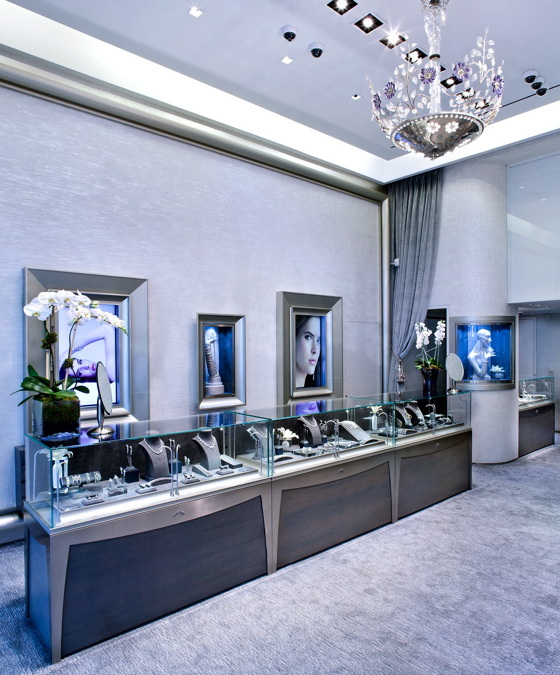 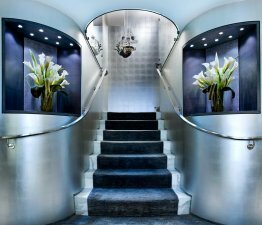 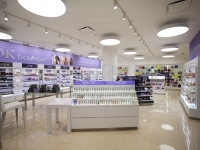 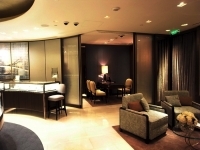 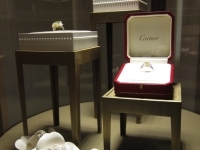 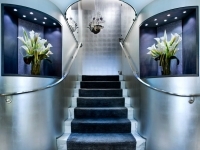 The fashion and fine/engagement jewelry displays feature staggered fluorescent cove lighting while private sales salons have decorative table and artwork lamps. 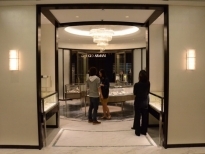 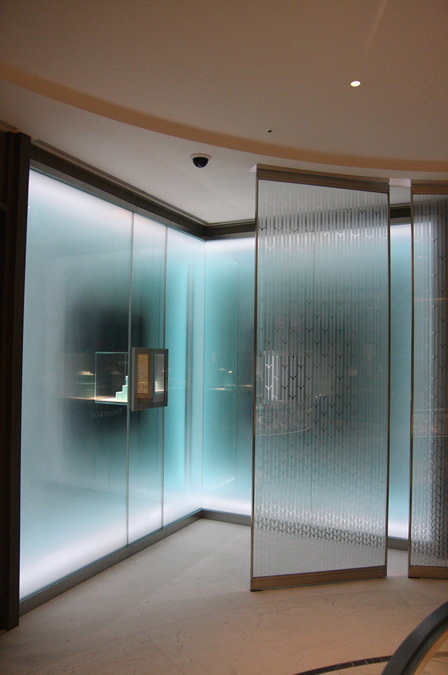 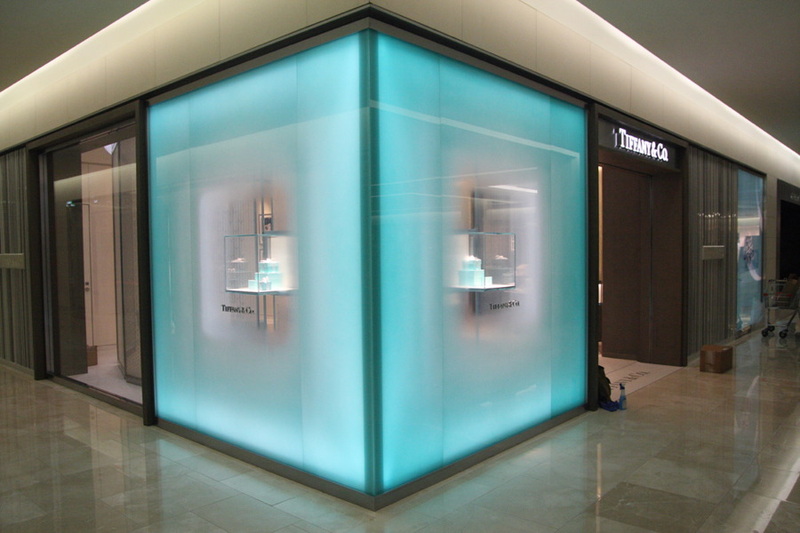 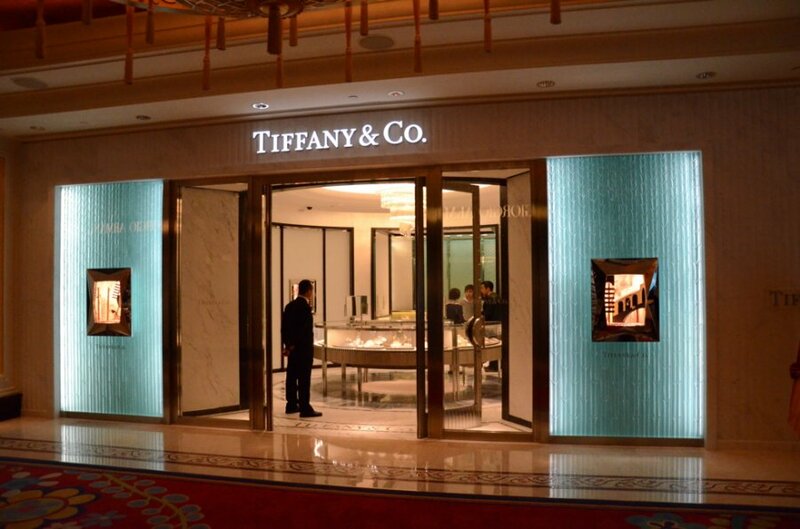 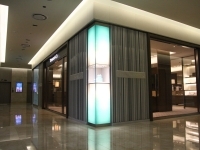 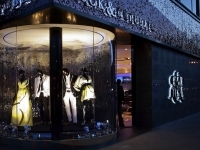 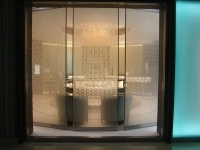 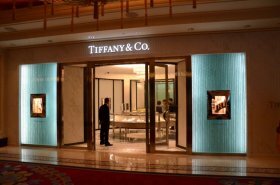 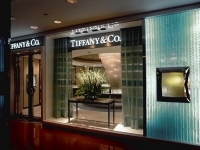 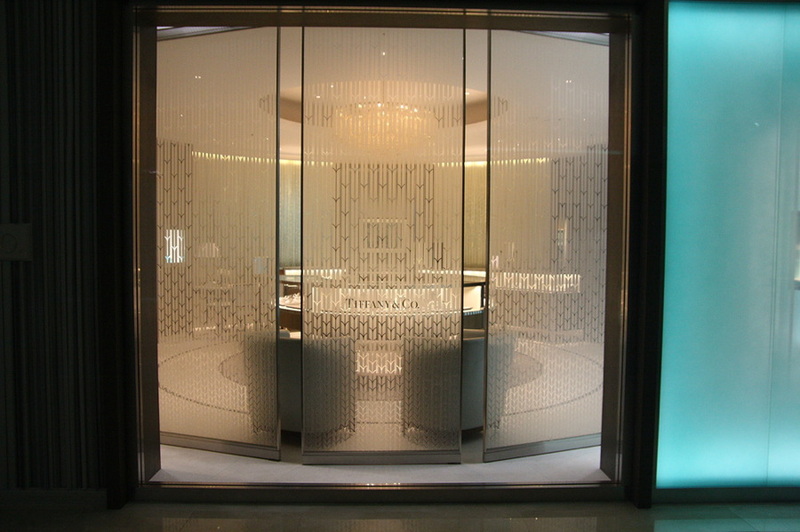 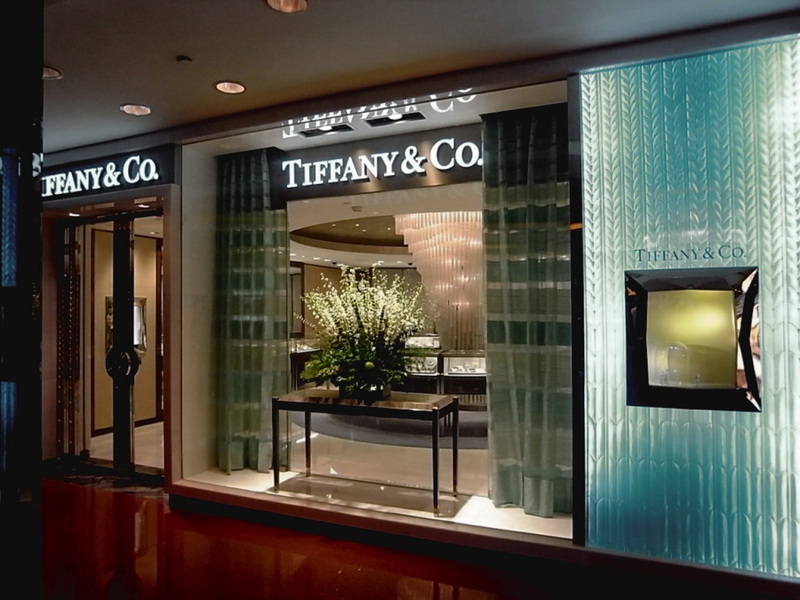 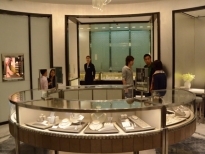 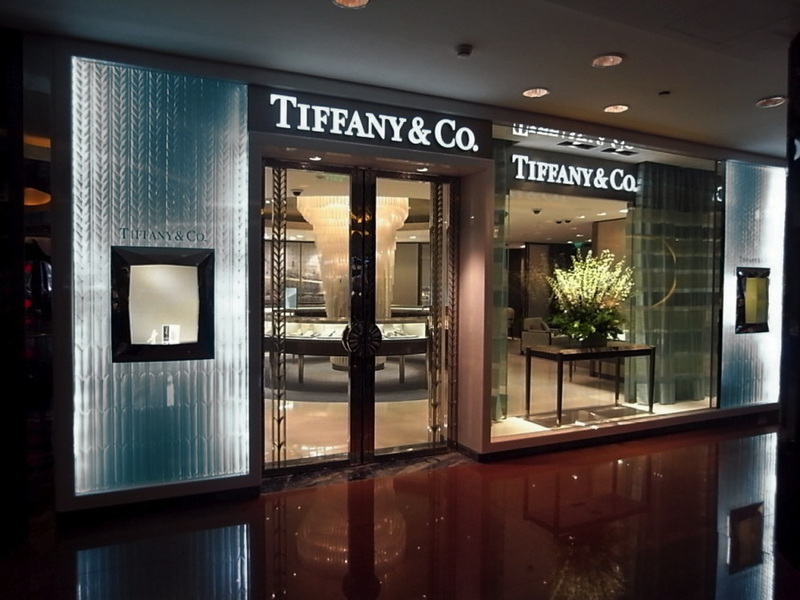 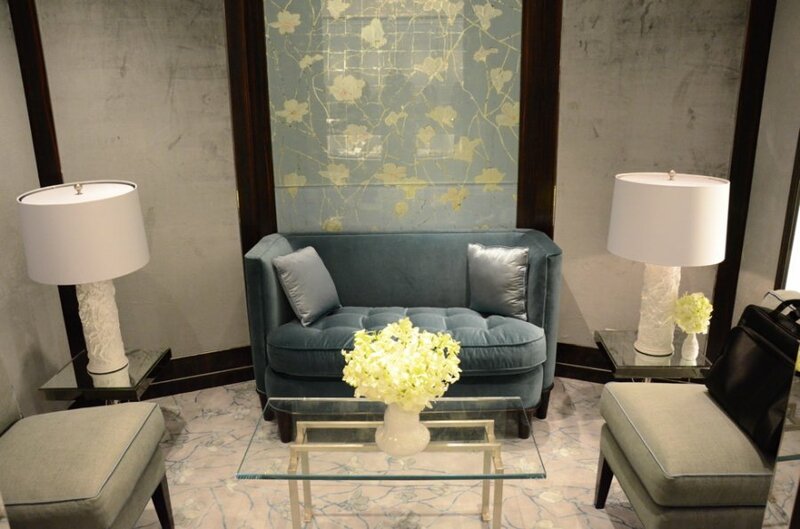 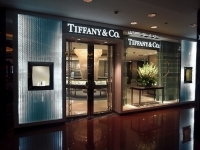 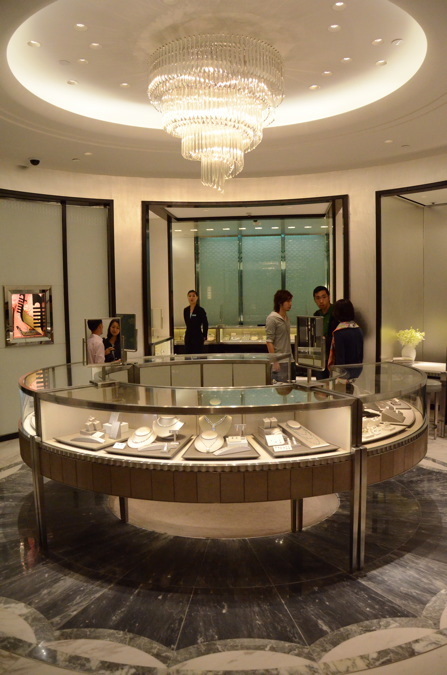 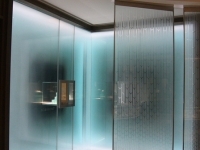 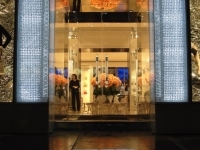 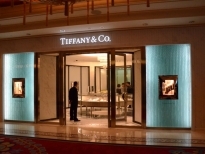 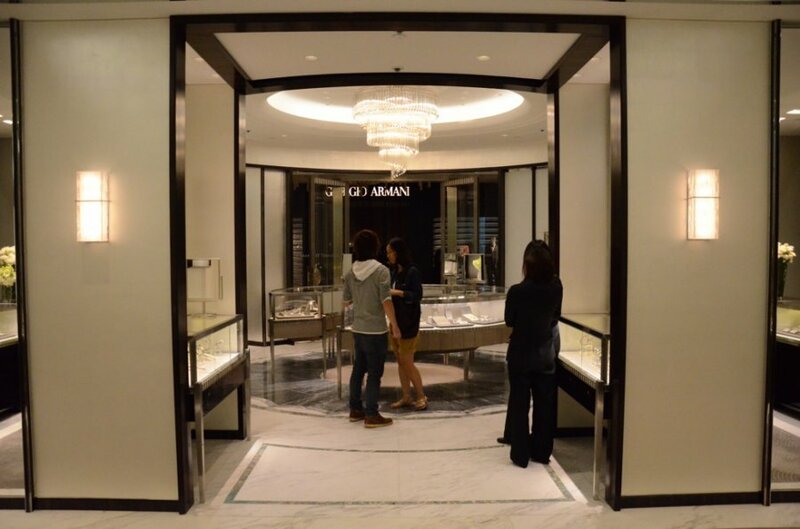 Tiffany & Co.’s jewelry store inside the Wynn Macau Hotel features an edge-lit carved glass storefront that radiates light in the retailer’s signature blue color, surrounding a jewel-faceted illuminated floating display box with internal adjustable track lighting.